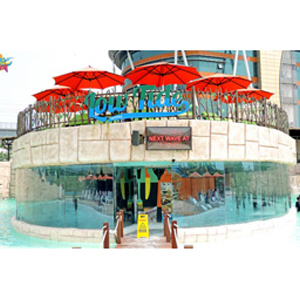 Oysters Water Park is now being run and managed by Intersports Pvt. Ltd., since February 2018. It's now the go-to place for people in Gurugram and Delhi NCR when they want to create a splash in the searing summer months. Come over with friends or family and feel the sun lose its edge, as our highly trained, efficient hosts and hostesses indulge you. You’ll be spoilt for choice as each of the rides is an entirely amazing experience. And after you’ve whipped up an appetite through all the frolicking, head to the multi-cuisine food court to recharge your batteries. Swimming Costumes are only available for sale. You can bring your own costumes but it should be nylon or lycra. If you wish to do something challenging, try - The Skyfall (Tallest Ride in India) and OMG (Oh My Gurgaon), a dare we love you to fulfill. Other rides like Rapid Racer, Lazy & Crazy River, Typhoon Tunnel, Float Slides and Pirate Station make for a perfect family or friends outing. Relax in the artificial sea waves or the loungers next to it. 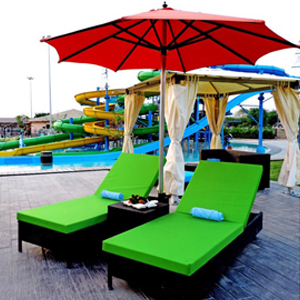 The whole place is designed specifically to give you a feel of a real beach. Soothe Your Mind & Body: Apart from a plethora of activities, we also have a rejuvenation center where you could head for a spa and relax in peace without needlessly spending time on changing clothing. Satiate your gaming desires with the 9-D interactive gaming cinema plus a kidz zone which promises to chaperon nostalgia to Gen X & Gen Y. The hunger pangs come on easy when there is so much of physical engagement. No sweat, because at Oysters we have a wide array of cuisines in the offing. 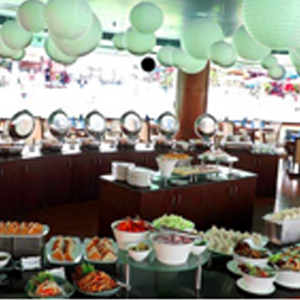 The Food Court, which has 4 multi-specialty restaurants like Southern Bay, Aroma Coast, Tidal Tadka and Langkawi Bay offer South Indian, Italian, North Indian and Oriental Cuisines respectively. If you are still looking for something more, we have an under the wave Low Tide restaurant serving world cuisine and tantalizing mocktails. As I can check on your website so there is a offer that you are offering Thursday & Friday: Buy 4 Adult Entry Tickets at the Cost of 3 tickets - Offer Valid on Only Thursday and FridayDiscounted Pricing - INR 3499So I would like to know how to avail this offer as there is no code available? Yes, the offer is available, please select your preferred day (Thursday or Friday) and then the pricing will appear automatically. No code needed. We are a group of 6-7 people.we are college students. Is there any discount for the group? Is super save pack are applicable on weekends ? Yes, We have Super Saver Group offers.available on weekends too. We have Super Saver Group offers for you. Also, we have wallet offers available on Goeventz site for you. No discount code needed. Adult - Price Per Person-INR 1101 Entry Ticket to Water Park for an Adult above 4 feet. All foods are include in this package ? Please be informed Food and Beverages will be available on chargeable basis.